If the definition of an old family recipe is that it’s handwritten, splattered with food, and shared so widely that no one remembers where it originated, then this one, from Trudy Toliver’s family, qualifies. 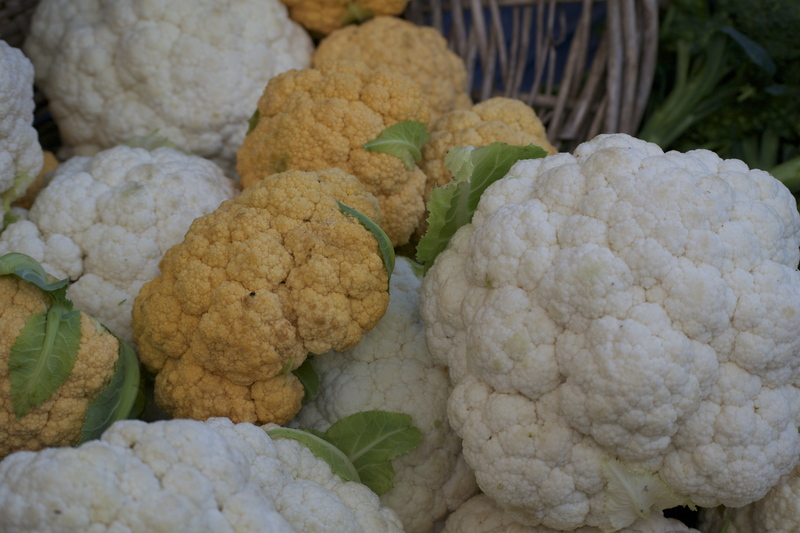 The sumptuous side dish is a popular contribution to Trudy’s holiday table or whenever crisp cauliflower is available at the market. Preheat the oven to 400 degrees F. Butter a 9-by-13-by-2-inch baking dish and set it aside. In a large bowl, toss the cauliflower with 2 tablespoons of the olive oil. Spread the florets in a single layer on a baking sheet and roast until cooked through, but still firm, 15 to 20 minutes. Remove the baking sheet from the oven and set it aside. Reduce the oven temperature to 350 degrees F.
In a wide, shallow sauté pan, warm the remaining 2 tablespoons olive oil over medium-high heat. Add the onions and sauté until they soften slightly, about 3 minutes. Add the garlic and cook until it is fragrant and the onions are translucent, about 2 more minutes. Remove the pan from the heat and stir in the parsley. Add the roasted cauliflower to the pan, followed by the butter, sour cream, dill, and paprika, thoroughly combining the ingredients. Season to taste with salt and pepper and turn the contents of the pan into the prepared baking dish. In a small bowl, toss the bread crumbs with the cheese and sprinkle the mixture evenly on top of the cauliflower. Bake until the mixture is bubbly and the bread crumbs and cheese are lightly brown, 15 to 20 minutes.